Starring Johnny Depp, Rebecca Hall, Paul Bettany, Morgan Freeman and Cillian Murphy. Johnny Depp (Will) looks bewildered (as only the genius 1%ers can), Rebecca Hall (Evelyn) disbelieves her senses (as only a neglected wife can), Paul Bettany (Max) is frustrated by the limits of his intellect (as only a friend standing in the shadows of a more brilliant colleague does), and Morgan Freeman looks like he want to run for the nearest exit (as only - aw, forget it!). 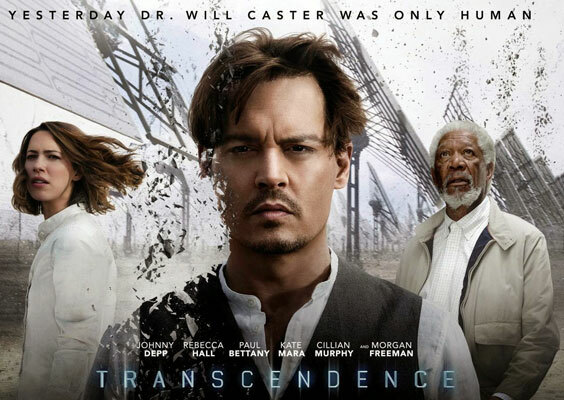 Academy Award winning cinematographer Walter Pfister (of Inception fame) delivers his first directorial effort - a half-baked clunker about technology running wild within the metaphysical confines of the human mind. Complete with 119 minutes of mini-explosions and a bewildered supporting cast mumbling their lines with equal amounts of lukewarm frustration and disbelief. The title is the most interesting thing in the entire film - and I love Johnny Depp, so it pains me to write this.